A house without enough insulation is like a kid without a coat—bound to get cold. 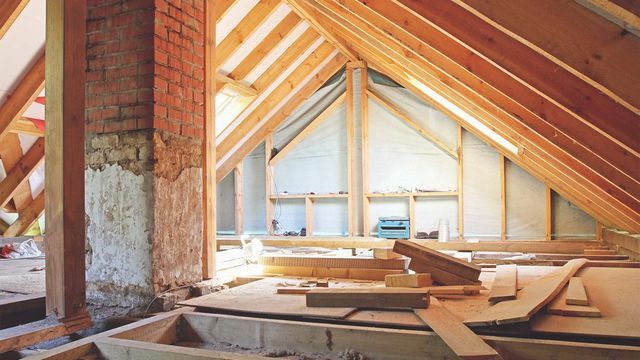 So if you’re sick of drafts and high heating bills, it might be time to help your home “bundle up” by learning how to insulate an attic (or add more of the stuff to bulk up). How much does it cost to insulate an attic? On average, hiring a contractor to install insulation onto the floor of your attic will cost $1,343. On the bright side, you can expect a whopping return on this investment, because home buyers are willing to pay an average of $1,446 extra for your home if your attic is insulated. In other words, you get back all that money (and then some) once you sell! If you want to save even more money, you can go the DIY route where you pay only for materials, which will cost around $580 for 500 square feet of space.